Virtually every business - no matter the size, type or industry - should have an overview video, but this is especially important content for a corporation. But, what should a corporate overview video include? This year, we're taking the opportunity with some of these silly National Days to share some of our favorite recipes for successful videos! And this month, we're celebrating National Pizza Day. 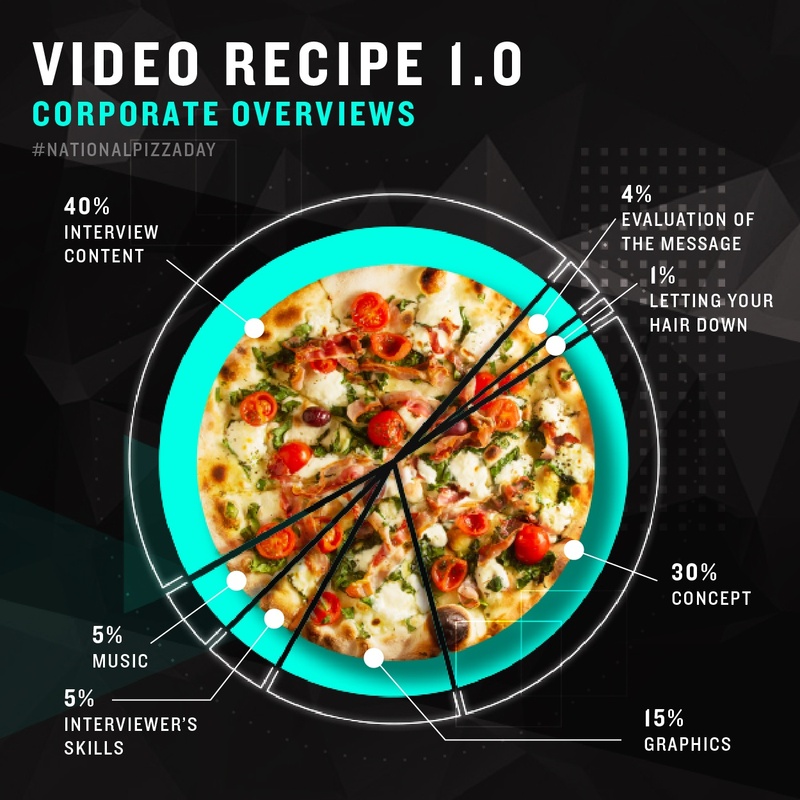 Here is our recipe for a great corporate overview video. Check out the full-size graphic, here.